What a marvelous time to be alive on Earth! We are in the final Battle of Light and Dark! This is a frequency war. All That Is (Creator Source) is frequency – various vibrational levels of consciousness. What is happening now is the final test for those choosing to ascend. The whole battle of light and dark is nothing more than a test for each to show what we have mastered over our many previous lifetimes. As we come to the end of the Piscean Age and begin the Age of Aquarius all the old illusion MUST collapse. The soil must be tilled to plant the seeds of New Earth. This is precisely what is going on now. And watching the world collapse around you is not an easy thing, even if you are fully set on choosing ascension. I find it fun to observe all that is going on. I love to watch it as if I am watching a play. What happened within me that allows me to view the illusion and have no fear is I learned the secret. It is shifting my own consciousness from my head to my heart. Doing so shifted my whole way of observing from a point of fear to a point of detachment and love. I witnessed a new protection, a light that surrounds and protects me through the chaotic illusion surrounding me. We will all go through the process of learning to shift consciousness from head to heart. That is the basis of what ascension is and is the minimal requirement for entry into the new 5D Earth. Truly we are only returning to a state we have “fallen” from at the end of Atlantis during the deluge that brought that civilization to an end. Many of us are having memories of that event that we must process and release to move on without fear. The test going on (as what we thought we knew collapses) is tough for many persons to take. For me, speaking as Bill Ballard, even with years of knowing what was going on and participating in the exposé from behind the scenes – it is still humbling to witness the extent of all that was being controlled by the Illuminati. Humanity was pretty close to being in a trap that was complete, one with seemingly no way out. We have passed that point now. That is what the End of the Great Awakening was/is about – the exposé of who most thought were their protectors, their government, and what that government was doing to control and manipulate the masses. The other part of the Great Awakening is about WHO WE TRULY ARE! We truly are great spirits having a human experience, feeding the Mind of God and our Souls. 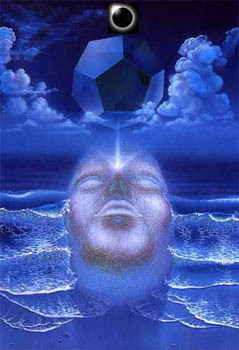 It is all an illusion, one that collapses as human consciousness expands/ascends back to higher dimensional awareness. The Illuminati – those who control our planet – definitely do not want this awakening to occur. That is the reason for dumbing-down humanity via food, vaccinations, education, religion, chemtrails, environmental pollution, and all the other frequency-lowering control mechanisms they have put in place. The awakening is, quite simply, a rise in an individual’s vibrational field. When you, for example, choose to return to a higher physical vibration – a higher level of comprehension of the invisible field around you – you engage in a conscious interaction with the field. Everything changes. Your perception shifts and grows into a much higher state of awareness, a multi-dimensional potential where your spiritual powers are re-membered. We always had these powers, but we were dis-membered while in the lower vibration. This dis-member-ment of our true power is what allows others to control and manipulate us. At the end of the Great Awakening and just before the mass ascension of humanity occurs, those choosing to ascend must become aware of who they truly are, the true history of what has happened, and what must be done to prepare for ascension. It is nothing more than raising one’s physical frequency to the minimum level necessary to move to new Earth. This minimal vibratory level can be found when you shift from head to heart. And, of course, the Illuminati and powers that be want to keep you from this. Actually we can consider what is going on like spiritual boot camp on Mother Earth. We are coming to the end of our training and the war games, the Final Battle of Light and Dark has begun. In past years many of us thought this was going to be a physical battle. However, as we begin to understand that thought and information is light, and we increase our awareness of who and what we truly are, a shift into a higher vibration of awareness occurs. The dark side does not want us to know this information as it is truly powerful when one really understands. All we thought and believed about our magical powers and abilities when we were young, is really the reality. It was when we forgot that reality and bought into the illusion that problems began occurring in our lives. We took a bite of the apple of Un-Knowledge and stepped into the trap. By doing so we lowered our vibrations. Have you ever noticed how happy a child is when he is still in this state? We have taught our children to believe the illusion is true and the invisible world they come to Earth with is the illusion. What a trap! As we believed the knowledge of those all-knowing adults we bought into the illusion and forgot what truly IS real. And this is how it happened. We fell for what our parents taught us. Well, most of us did. Some of us, however, kept on believing what we came here with. Jesus stated you can only get into heaven with the heart of a child. There is no better advice about ascension than that. We must all re-member our childlike nature and those things we came to this life with. We learned ego – the false teaching that leads to separation, disconnection from source and full entry into the lower vibrations. We now must get back to that state of being we had as a child, full of unconditional love and the awareness of higher vibrations. To do so we must unlearn all we were taught was reality in this illusion. That is a somewhat difficult task for many who have ventured into the depths of the lower vibrations, separation and duality. Right now we see the whole world collapsing around us. This “seeing” is Light, and Light is information. Information is the key to seeing through the illusion. This “seeing” does not feel good to one exploring the depths of ego. I know this for I, too, do the same thing, despite having the awareness of much of what was really going on all my life. We all go through this. However, by returning to the heart space, our child-like nature, all the illusion we have been indoctrinated into dissolves, and the memory of truth resurfaces. Information is Light. Light is love. Love and Light are Vibration. To totally infuse higher vibration into life, we must expand our light/love vibration and enter a much higher level of comprehension and dimensional awareness. There are many different levels of light/love vibration, all attuned to various octaves of frequency known as dimensions. This world illusion must collapse so a new experience can take its place for those choosing to ascend. This collapse destroys all the things we have identified ourselves with within the 3rd and 4th dimensional experience. Let it go! Don’t hold on! Remove all perceptions of rules which set the guidelines of reality. Remember that we create the rules we play with in any level of the illusion. Wouldn’t it be better to play with NO RULES? I guess that is a personal decision and one we each must make to define that we believe in. I personally choose not to have limitations to my comprehension. I choose to be able to attune to the highest levels of consciousness I can attain. Now, the collapse of the old world falling away will bring up “thoughts and fears.” If this is going on inside you look at why this is happening and what you are doing. First, become aware of the focus of your attention. Are you perceiving the illusion from your heart, or are you actually in your head? If there is fear you are perceiving from your head as only love – not fear – can be in the heart. During the time of transition from head to heart, even after the heart chakra is activated, you enter an in-between state. One aspect of consciousness is heart-centered while another aspect remains in the head. This is when the ongoing process of shifting between head and heart occurs. This process of shifting from head to heart takes time. Consciousness is connected to All That Is, to every atom in all dimensions of the multi-verse. As a human you are continually pulling more of that higher self/ ALL THAT IS consciousness into your physical being. I mean this in the spiritual, higher vibrational way. It is difficult to put that lower dimensional physical rock into the body and enjoy it. But when you “re-member” Source or God IS all that is- that Source is ALL various levels of vibrational consciousness, then you begin to realize you truly wish to embody as much of “All That IS” or God into your physical being, bringing as much spirit (LIGHT) into yourself as possible. That realization is what raises your light quotient and physical vibration into higher levels of consciousness. That is how you become multi-dimensional. If you are not completely anchored in your heart the collapse of the system will seem frightening. 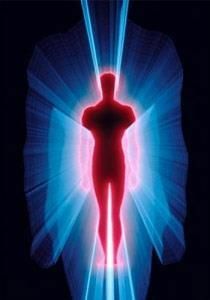 Even stepping into 5D seems frightening at the beginning levels of heart chakra activation. As you continue the process from 5D Ascension Initiation into the higher initiations, you experience deeper and deeper paths into self. All the chakras are explored as you activate, increase light, and turn ever more inward into truth. You begin to realize that is where all your knowledge and power reside. That is where the re-membering of higher power occurs. Remembering cannot occur in the illusion! In order for a new world to be born the old 3D/4D world must collapse. And so, too, must the illusion of your personal matrix collapse so you can be reborn into higher levels of awareness. The 4th dimensional beings controlling Earth at this time, as well as the negative ETs influencing them, are limited by ego and thought. They have not made the quantum leap to the power of the heart field. All individuals vibrating at a level less than those beings can be easily controlled by them. That is why so much is being done to keep humanity’s focus on the external – focused on the illusion rather than turned inward toward the internal reality. It is this over-focusing on the external that keeps humanity dumbed down. Maintaining that external focus is a critical aspect of the plan designed and implemented by our wonderful End Times Drill instructors, the Illuminati. The plan is to keep so much chaos in the illusion that humanity is trapped and unable to complete the shift from lower vibrations into higher, from head to heart, from ego to love. The ascending initiate must realize THAT is the game – keeping you tied to the illusion and thereby giving away of your power. What is your choice? For indeed, we each have choice! Mastery is the taking back of your power. I state this on multiple levels as we each create the illusion we think of as reality. Taking back your power requires “response-ability”. For mastery to occur you must be “response-able.” You must control where you focus your consciousness, thought and emotion. It is consciousness, thought and emotion that create the illusion you experience. As I have stated previously 5D vibrations allow you to create directly through thought and emotion coupled with focused intent. Creation can be done consciously or unconsciously. Either way it can and will create your experience for it is all about vibration. Taking back your power allows you to be consciously aware and in control of your experience. In addition you must also know you are playing this game of experience with others, and that we are all vehicles for soul. Soul in the lower dimensions undertakes the 3rd ascension initiation and then the 4th, which requires Soul control rather than ego control of life experience. The 5th initiation is the activation of the heart chakra and the permanent bliss state that comes with its activation. The 5th is the first true mastery initiation where you must have the intent to manifest a certain level of vibration. You must choose your focus and remain with it for longer and longer periods of time until you successfully activate your heart chakra. As you take back your power by going ever inward the exterior illusion falls away. Fears and old habits, all the training you received from external sources within the illusion, gradually falls away. Yes, you can get reversed and perceive from that old comfortable fear you once had, not believing that a permanent state of grace can be obtained. But that is a falsehood and a trap. New rules apply here and you make these rules. See? This illusion must be collapsed and all fears must be confronted and put into proper perspective – that of being the tool necessary to experience and transcend the lower dimensions. When in the higher dimensions your light bubble protects you and you can walk in the middle of the most incredible hurricane or disaster unfolding and remain completely protected. Believe me! We must all learn to recognize and master old habits. Next we must dissolve these habits to make way for our new 5D Selves of Love and Light. That is a process we all must go through when we decide we have had enough of the 3-4D games. No one can do it for us. We have much help if we ask. This is the key to peace and happiness. It is the key to mastery of our beings in these End Times, and of having a wonderful journey as the world around us, our old familiar ways, dissolve to make way for the New. 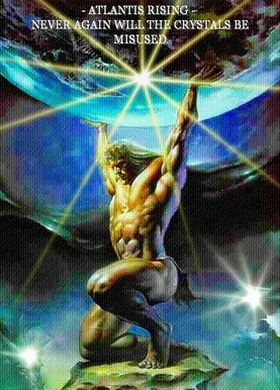 Together, all doing this, we create a New Earth as we change, transform and transfigure ourselves with higher vibrations, Light, LOVE, knowledge and wisdom. With Unconditional Love for ALL That IS! >Good morning, Selphia, how about a history lesson this morning?